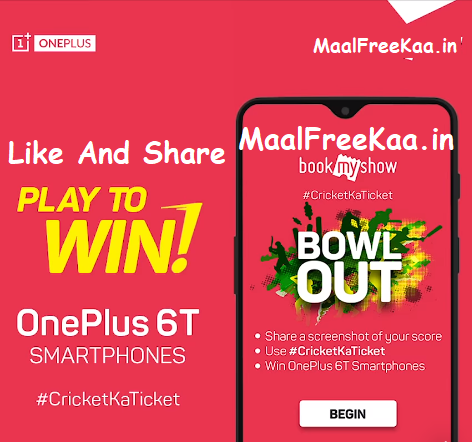 Here The Chance to Get Free OnePlus 6T By BookMyShow Play and Win Contest. 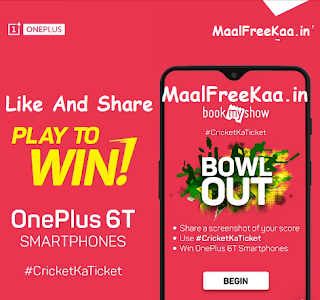 Bowl out play with Facebook App by your smartphone and share your score screen shot get free OnePlus 6T. Try this effect by BookMyShow in the Facebook Camera Is the Cricket ka fever high this T20 season? Show it to us by just playing the addictive Bowl Out AR game and stand a chance to win OnePlus 6T smartphones. Play now to start to win OnePlus 6T and much more prizes awaits for you.